The Sanskrit word sara means "essence" and swa means "self." 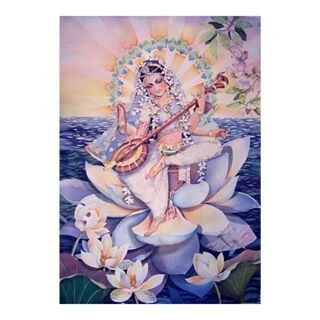 Thus Saraswati means "the essence of the self." The literal meaning of the name Sarasvati is the one who gives the essential knowledge (Sara) of our own Self (Sva). The goddess Sarasvati is also considered the Goddess of Learning, or of education, intelligence, crafts, arts, and skills. As she is the consort of Brahma, who is considered the source of all knowledge, Sarasvati is knowledge itself. Thus, many students or even scholars may worship her for her blessings. She is, therefore, depicted as white in complexion, and quite beautiful and graceful. She is often depicted sitting on a lotus, which symbolizes that she is founded in the experience of the Absolute Truth. Thus, she not only has the knowledge but also the experience of the Highest Reality. She holds in her four hands a vina instrument, an akshamala (prayer beads) in the right hand, and a pustaka (book) in the left, which represents the knowledge of all sciences. Holding the book or scriptures in one hand also indicates that this knowledge alone can bring us to the Truth. The vina shows the beauty of learning the fine arts. Playing her vina, she tunes the mind and intellect with her knowledge, and thus the seeker can be in harmony with the universe. The prayer beads represent all spiritual sciences, like meditation and japa (chanting the holy names of God), and, being held in the right hand, that it is more important than the secular knowledge contained in the book in her left hand. 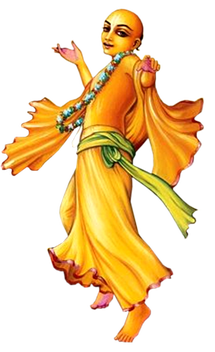 Her four arms represent her unrestricted power in the four directions. She also represents creativity, or the combination of power and intelligence, the basis of creativity. Her name literally means the one who flows, which can be applied to thoughts, words, or the flow of a river. 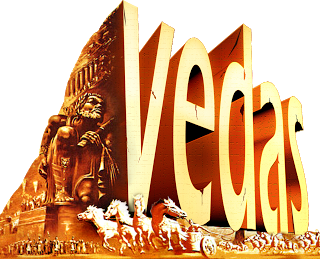 She is the deity of a river in the Rig-veda. Her other names include Sarada (giver of essence); Mahavidya (holder of supreme knowledge), Bharati (eloquence), Maha-vidya (transcendent knowledge), Arya (noble one), Maha-vani (the transcendent word), Kamadhenu (like the wish-fulfilling cow), Dhaneshvari (the divinity of wealth), and Vageshvari (mistress of speech). It is through speech that knowledge manifests in action. It is through her that language and writing is revealed. one that holds the vina; Sarada ­ giver of essence; and Gayatri. 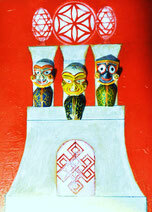 She is also occasionally shown with five faces and eight hands, representing her additional powers. Other objects that she may hold include the pasha (noose), ankusha (goad), chakra (disc), padma (lotus), trishula (trident), and shankha (conch). 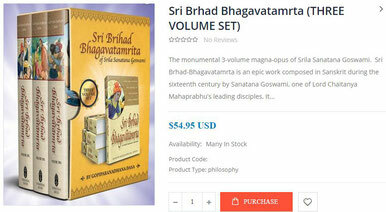 Sometimes she is also seen riding on a swan, the carrier of her spouse, Brahma. At other times she is seen riding on a peacock or sitting with one nearby. The peacock represents the worldly beauty, which can distract the spiritual aspirant. The swan signifies the acquisition of wisdom and knowledge because of its ability to separate milk from water when eating, and thus acquire only the milk. 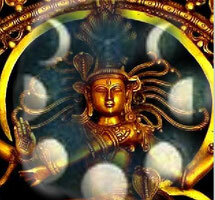 Sarasvati is also the shakti or power and consort of Brahma, the secondary creator of the universe. Thus, she is also considered a mother of the universe. In this way, she is also connected with fertility. Saraswati is worshipped as the consort of Brahma the creator. Legend has it that Bhrahma the creator acquired the power to think and create only through the power of Saraswati and that it was Saraswati that enabled Bhrahma to listen to the naada-brahmam the primordial sound which is revered as the source of all creation. Saraswati is the sometimes forgotten third member of the Hindu triple goddesses; Lakshmi, Kali and Saraswati. Lakshmi, Goddess of Plenty, is as you can imagine, wildly popular. Everyone wants to honor her and hope for the good fortune she can bestow. Kali will not allow herself to be forgotten. She is the Goddess of Destruction and of Creation (although that aspect is frequently forgotten). She is, perhaps, too frightening to forget! Saraswati, the Goddess of Music and Poetry and Learning, is less popular since she neither destroys people nor dispenses favors. Ah, but Saraswati can help poets and musicians when they need inspiration! She was the inventor of written language (Sanskrit) and for this reason is also invoked for help in schoolwork and other written endeavors. Her color is white (Kali is black and Lakshmi is red) and her incense is white sandalwood. Beyond being the Hindu Goddess of Knowledge, music and all the creative arts, Saraswati is called the Mother of the Vedas and the repository of Brahma’s creative intelligence. She is also called Vak Devi, the goddess of speech. Dressed in white, Saraswati holds a mala and a palm leaf scroll, indicating knowledge. 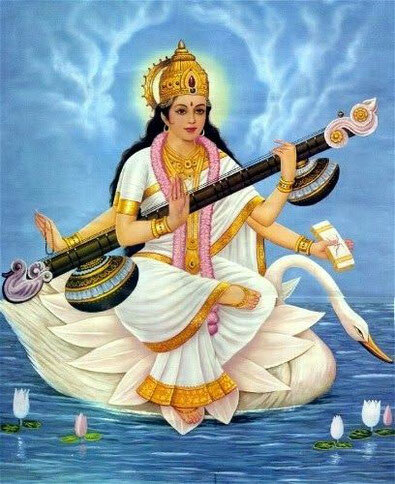 Saraswati usually rides a swan and sometimes a peacock, while playing music on a veena.